At St. James Volkswagen, it is our goal to ensure that our client’s vehicles are maintained, safe, and in excellent running condition at all times. As the experts, our clients expect us to inform them of all possible concerns with their vehicle. They also expect us to provide guidance and knowledge so they can make informed decisions, that are in their best interest. St. James Volkswagen Winnipeg has a large selection of new, certified pre-owned Volkswagen models, and a variety of used vehicles to choose from! Service all new and used Volkswagen vehicles in one of the city’s best full automotive repair service dealerships. St. James Volkswagen is Winnipeg‘s only full-service Volkswagen dealer specializing in new and used Volkswagen vehicle sales and service for the city of Winnipeg and its surrounding areas such as Headingly, Fort Richmond, Steinbach, Brandon, Kenora, St Pauls, Beausejour, Fort Garry, Morden, Saint Anne, Winkler, and Stonewall (to name a few) as well as many parts of Western Ontario for over 40 years. As a leader in Volkswagen sales and service for the Winnipeg Manitoba metropolitan area, St. James Volkswagen has access to one of the largest Volkswagen vehicle inventories including both new and used cars, trucks, vans, and SUVs. At St. James Volkswagen, our dedicated and friendly VW sales consultants will assist you in researching your next automobile purchase and help you make the right decision. 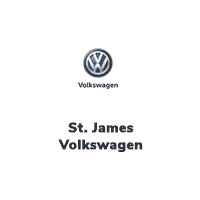 St. James Volkswagen has a large inventory of Volkswagen vehicles, including the Golf 3-Door, Golf 5-Door, Golf Wagon, Golf GTI, Passat, Jetta, Tiguan, Atlas and other used cars, trucks, and SUVs.